Award-winning photographer John Lehmann fixes his lens on Canada's Fogo Island. When I told people I was going to Fogo Island, I got one of two responses. “Wow! Really? I hear it’s incredible!” or “What? Is that in Africa?” Not long ago, I would have fallen into the Africa camp. In my 25 years of travelling around the world as a photojournalist, I’ve come to realize that the best places to visit in the world are the most remote. They’re not trampled by tourists and there’s genuine potential for discovery. If you travel to Fogo Island, you, too, will understand why it’s billed as an island, off an island, off of one of the four corners of the Earth. The island’s closest airport is Newfoundland’s Gander International Airport, made famous after 9/11 when Transatlantic flights were forced to land, and the small Maritime community hosted thousands of foreign travellers. After picking up a rental car at the airport, it’s a leisurely and scenic hour-and-a-half drive to the ferry dock at Farewell, where you board a 40-year-old ferry for a one hour voyage to Fogo Island. 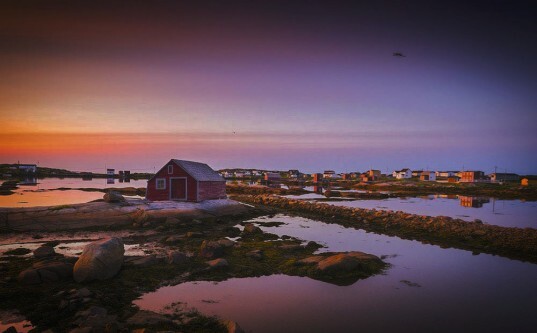 For photographers, this corner of the planet is a visual feast – from the architectural gem that is Fogo Island Inn to the stunning beauty of the icebergs that drift by. You can just point your camera in any direction and press the shutter. Chances are, you’ll get a great shot. 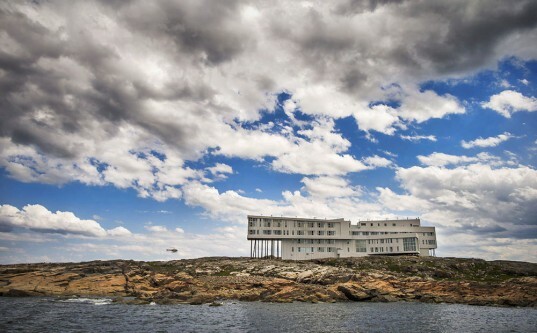 Fogo Island Inn is a remarkable piece of architecture. The inn is a contemporary expression of building techniques learned over the ages by inhabitants of this small, rock of an island in the North Atlantic. The hotel staff are the inn’s heartbeat and the crisp, five star service is delivered with charming local hospitality. In this shot, I love the dramatic clouds hovering above the inn as a chopper ferries in a fresh set of guests. Cod fisherman Larry Keat, or “Lar” as the locals call him, is an eighth generation islander who couldn’t imagine living anywhere else. I met Lar on the government wharf in the town of Joe Batt’s Arm. After a little convincing, he eventually agreed to take me out fishing. We were out on his boat for several hours where he gave me insight into island life as we motored past icebergs. During my stay at Fogo Island Inn, I left the windows open at night so I could smell and hear the ocean. In the morning when I drew the curtains open, I was greeted with a cool ocean breeze along with this surreal view of an iceberg just floating past – an unforgettable way to start the day. The flotilla of 10,000-year-old icebergs which make their way through Iceberg Alley – an area stretching from the coast of Labrador to the island of Newfoundland – is mesmerizing. 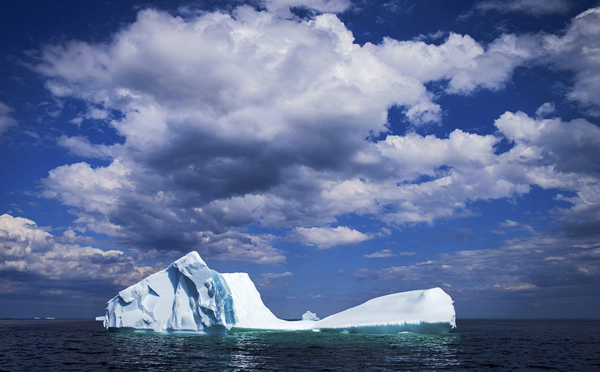 These crisp white bergs often have a vertical aqua-blue racing stripe running through them. They tip sideways when they’ve broken away from the larger mass of ice, so the lines you see mark the passage of time (not unlike the rings on a tree). When you see an iceberg, you only see one tenth of what is actually there. The rest of the berg is under water. According to local lore, this fishing stage in the community of Tilting is the most photographed in all of Newfoundland and Labrador. The wooden buildings, painted a traditional red ochre, are typical of the ones used by cod fishermen, and they house work tables where the fish are salted, dried and sometimes smoked. 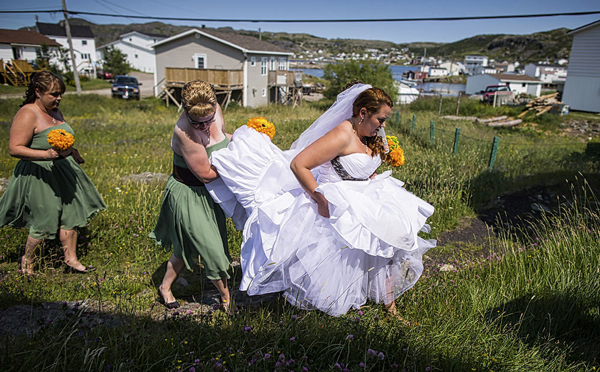 With seconds to spare and a little help from her bridesmaids, Nikki Coles, from the community of Fogo on Fogo Island, cuts through a field to the back door of St. Andrew’s Anglican Church to wed Jason Ford of Deep Bay, another hamlet on the island. The church, built in 1918, features grave-markers on its grounds dating back to the 1760s. 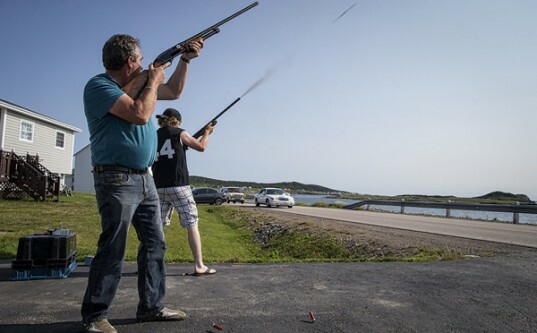 A wedding celebration on Fogo Island gives a whole new meaning to the term “shotgun wedding” as friends and family fire shotguns, a long standing tradition saluting the newly married couple as their motorcade tours the island. If a visitor isn’t aware of this tradition, it can be a little disconcerting. 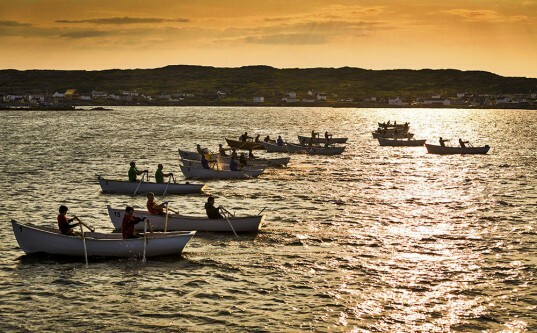 The Seventh Annual Great Fogo Island Punt Race to “There and Back” takes place in Joe Batt’s harbour. Billed as the world’s only seagoing rowing race in a traditional craft in the open sea – the race is a tribute to maritime history and fishing traditions on Fogo Island and Change Islands. Punts were historically used not only for travel, but also as a means to fish and earn a modest living. The annual race has revitalized the art and tradition of wooden-boat building. For me, travel photography should be about more than pretty sunsets and iPhone food photos. So I had to stop after witnessing this intimate moment. 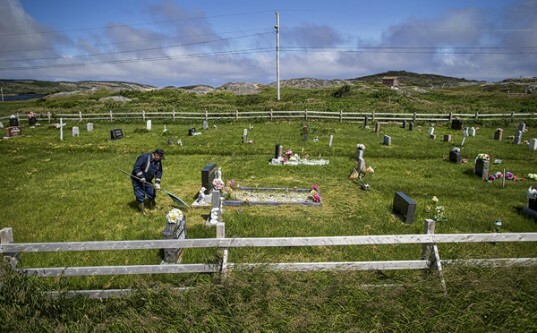 James Broders, a fisherman from Tilting, was trimming the grass and weeds from around his son Jodey’s grave. I asked him if it was alright if I took his photo and he was fine with it. His son Jodey died of a brain aneurysm in 2004 working off island. 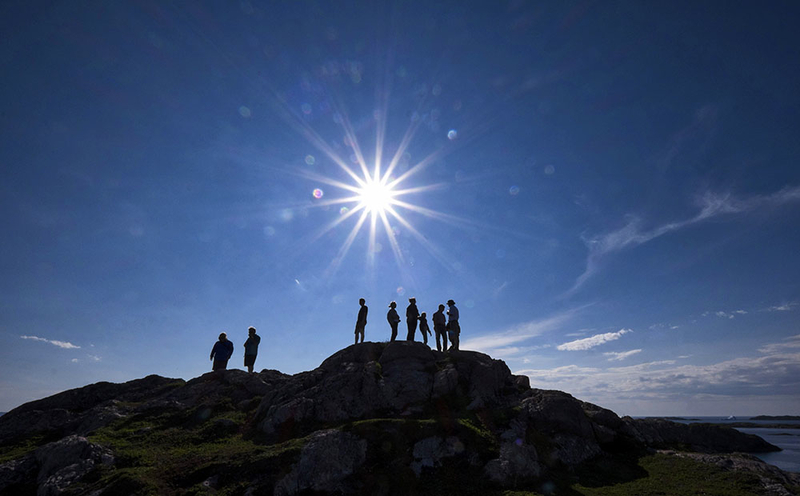 A handful of visitors stand atop nearby “Little Fogo Island” searching for whales and icebergs off the shore. They travelled with Ketanja Boat Tours to the tiny island (once populated by families at the height of the cod industry) to see St. Anne’s Roman Catholic Church, built in 1866 and now a heritage site. Joe Batt’s Arm, a town of fewer than 1,000, was first settled in the 1750s. The name, legend has it, comes from the first European settler – possibly a deserter of Captain James Cook – to settle here. Apparently, the locals liked this Joe Batt so much they gave the area his name. Nowhere in Canada have I seen people wear their history so proudly on their sleeves. I won’t forget Fogo any time soon. Not the history or the peaceful landscape, and especially not the warmth of its people. Editor’s note: Many thanks to The Globe & Mail’s John Lehmann who headed east from his home in Vancouver, B.C. to Fogo Island, Newfoundland & Labrador for us this summer. A HUGE thank you, also, to our partners in tourism (also to Nicole’s Cafe and Caribou Lodging) who helped make this story happen and who did not review or edit this post before publication. Great to have you on our pages, John. Jim. What a lovely story. Thanks for your comment! Believe us, after John’s photos, we’re all pining for a place we’ve never been. Toque & Canoe P.S. Thanks for following along! Great place, I hope to return one day with my family. My father was born in Joe Batts arm in 1908. His father was the Anglican minister there until 1911. 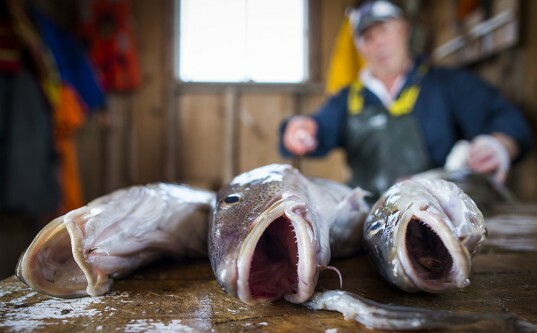 These photos remind me of my connection to Fogo Island. Still on my bucket list. Ahhhhhh Fogo Island. One of my favourite places. I love how you’ve captured the essence!! Beautiful photos! My great grandfather, John Ford, was from Barr’d Island. My husband and I visited Fogo Island last summer (2013) and were amazed at the beauty of it. Had breakfast at the Fogo Island Inn (delicious), took pictures of the stage at Tilting…..so much to see. Definitely want to return one day and spend more time exploring the island and perhaps looking up/meeting distant relatives. Wonderful photos, John. I’m dying to see an iceberg. What’s the best time of year for that? Thanks very much Lorna. I believe this year was an exceptional year for viewing icebergs or so the locals told me. 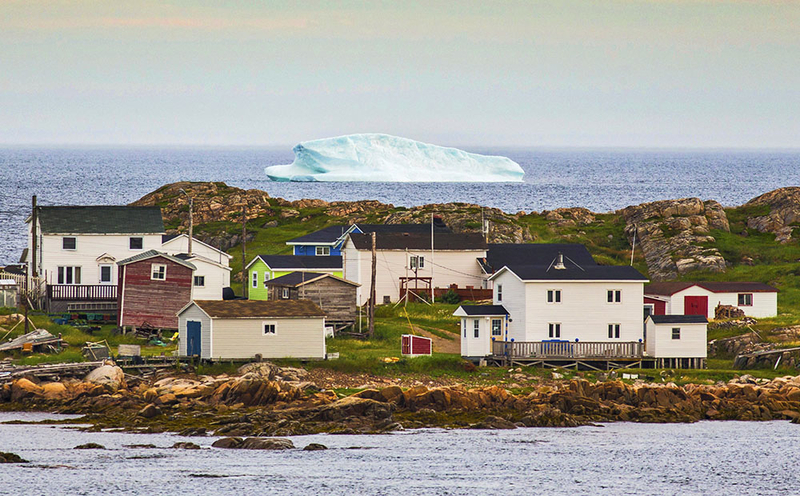 Diring my research on Fogo Island I found out May/June to be the best time of year to see the icebergs float by. My family and I visited Fogo Island and we stayed at the glorious Fogo Island Inn this past August. It is a breathtaking part of Canada and we thoroughly enjoyed our visit and even saw an iceberg for the first time. Our guide was the local author and he was as charming as he was informative. As he is from Tilting we were able to really appreciate all the wonders of this serene town. In fact, all the people we met were as lovely as the landscape around us. Looking at the pictures posted in this article has my heart skipping a beat. I already miss it and want to return. Kudos. Delicious photos. Loved the commentary. 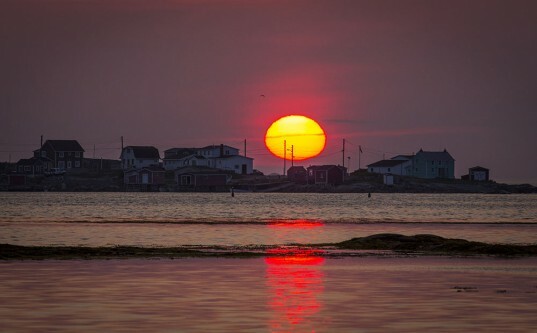 I Love reading articles of Fogo,the place of my Roots,as my Mom was from Island Harbour on Fogo Island.I travelled there several times over the years,the last being 2007, this would be Mom’s last visit to her birthplace.I love Fogo Island and the people there…. John Crosbie once said that you can tell all of the Newfoundlanders in Heaven because they all want to go Home. After seeing those pictures of a small place in Newfoundland I can understand why. Thank you for telling the world what a special place we live and work in.